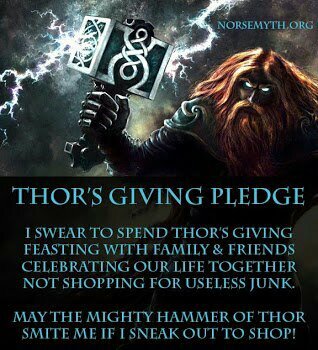 Yule Pledge. URL in pic. In 1620 a group of Pilgrims soon to arrive in Massachusetts (instead of Virginia where they intended to settle because they were out of beer) signed a historic document called the Mayflower Compact. They pledged to share the labor, produce, and government of their new village in a new land. The Mayflower Compact has been taught in American schools for almost 400 years as a "historic advance" in human government. It was taught in school when I was in school. During their first winter many of the Pilgrims died of starvation and disease. In 1621 the Pilgrims managed to put up some crude huts and plant some crops. When their meager crops were harvested they invited local natives to bring food for a feast of thanksgiving. They teetered on the brink of starvation for 1622 as well. Governor Bradford wrote that young men who would be able to do more work were unwilling to work as hard as they could because they were not rewarded for their labors. In 1623 the surviving Pilgrims scrapped their “historic advance” in human government. It was a failure. Community ownership of property, redistribution of produce and the fruits of labor was a failure then as it always is. In 1623 the Pilgrims abandoned their communal property redistribution system. They gave every family their own land and private ownership of the production of their labors. They instituted a free market system, and Massachusetts Bay Colony thrived and prospered. In 1623 corn planting and harvesting greatly increased. There was plenty of beer for everyone. That part is NOT taught in American schools. Those who refuse to learn from history are doomed to repeat it and voted for Odumbo. I've been watching all the post-election analysis on the news channels and networks. The one thing that all the liberal "analysts" and pundits are saying is that the Republicans are "white men" and therefore losers. The racism/sexism against white men is total and vehement. I have been saying for 4 years that the current political situation in the US is a repeat and a copy of the German National Socialist Labor Party of the 1930s. The part I missed was to identify the "Jews" that they hated and blamed all their problems on, but it becomes more and more clear. Its now obvious even to someone like myself who hasn't wanted to believe it. Before Odumbo became a politician he was a "neighborhood organizer." What does a "neighborhood organizer" do? He promotes racist hatred of white men. That is who he is. His book tells of his hatred of white men. Read his book. His church taught racist hatred of white men. When he was first inaugurated in 2009 NBC said, "Take That!" to white men. And now, his whole propaganda machine teaches hatred of white men. Hatred of white men has been taught to a whole generation of youth at every college and university in the US as "woman’s studies" and feminism. The Department of Education now requires all K-12 teachers to believe the hatred of white men to get a certificate to teach children in the US. That has been going on for at least 10 years and was actually their requirement for a lot longer than that before it was written into law. Of course they call it “belief in diversity” or some other euphemism that means hating white men. You don't have to look very far on the Internet to find feminist web sites advocating the extermination of men. For several decades they have been systematically replacing white men in management positions of government with blacks, non-whites, and females. They call it “affirmative action” and “diversity” but what it has done is a black, non-white, and female takeover of government. Under Pretender Odumbo they have been rapidly replacing the remaining white men with blacks, hispanics, and females. All their propaganda machine cheers when females and non-whites take control. Under Odumbo they have been rapidly replacing the US Military officer corps with non-whites and females. Any white man who objects or complains is punished and demoted. Many white men don't complain. Many white men today were raised by single misandrist mothers and trained for two decades in anti-white K-12 indoctrination centers. Many white men today believe their dogma that white men are “the problem.” In the 1930s there were lots of Jews who helped with that extermination program too. When Odumbo begins the planned exterminations, there will be few white men left in power to object. In the past few days the whole media/propaganda machine has renewed their attacks on white men. They blame white men for the Republican losses and are insisting that Republicans will have to abandon white men to continue as a political force. They teach hate in all their media, films, print newspapers, schools, colleges, sit-comes, comedy shows, etc. The Department of Justice is officially ordered not to prosecute blacks or other minorities who commit crimes against white men. When a white man is attacked and beaten on the street, its "not a crime." The police state won't bother to investigate or prosecute the attackers. Its what they want to happen. The similarities between Odumbo' s socialism/union/racism/sexism regime and the German National Socialist Labor Party of the 1930s is so stark that any white man in the US should be terrified. In the 1930s the Jews refused to believe that their published and obvious plan was what they really meant. It was just to horrific to be true. Only a very few managed to run, and to choose somewhere far enough to run. Most were unable to run so they didn't believe. If we look at what has happened in African nations over the past half century there are many examples of genocide against white men. In Kenya, in Sudan, in Zimbabwe, there have been models, the “Dreams of My Father” that Pretender Odumbo tells us clearly about in his book. When black African nations exterminated whites, it resulted in poverty, starvation, and death of many blacks. That did not and did not stopped their hate and extermination of white men, nor will it stop Odumbo's racist agenda. Credible rumors say that they have "FEMA Camps" in several states. Also here. They have been buying millions of rounds of hollow point ammunition for every agency from the IRS to Department of Education. Hollow point is banned for war, but not for Odumbo. They are moving rapidly. Their propaganda machine is working hard. Their next step is immanent. The propaganda machine has begun advocating that Odumbo should just take over and ignore Congress. It may already be too late. White men in the US should be very afraid. If you can run, run now. Get out while you still can.